Published on January 6, 2017 in Winnipesaukee Resort. Closed Tags: Gunstock Lodging, NH Ski Tickets, Winnipesaukee Resort. Get ready for another winter of exclusive ticket deals to some of the best local mountains. This ski season guests of the Summit Resort can enjoy reduced pricing on tickets to Gunstock, Waterville Valley and Loon Mountain. Carve up the slopes during the day and spend the evening soaking up the warmth in our large heated pool and expansive roman spa. Just minutes from Gunstock Mountain, the Summit Resort is your ideal choice for Gunstock Lodging. Pack up your friends and family and get ready for a great winter adventure. With the Summit’s exclusive ticket deals and spacious rooms your next ski trip is just a click or call away. Published on December 21, 2015 in Winnipesaukee Resort. Closed Tags: Gunstock Lodging, NH Ski Tickets, Winnipesaukee Resort. 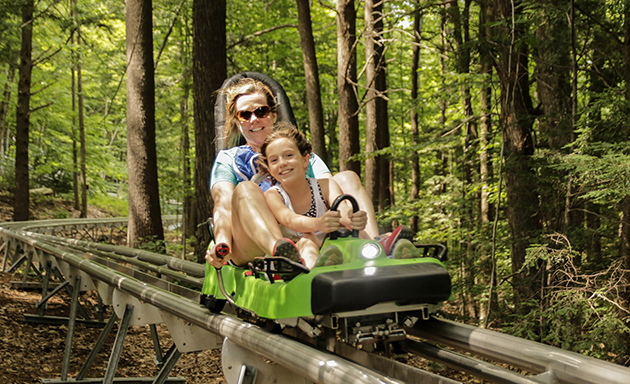 Time to kick off another season of savings with discounted tickets to the best local mountains. 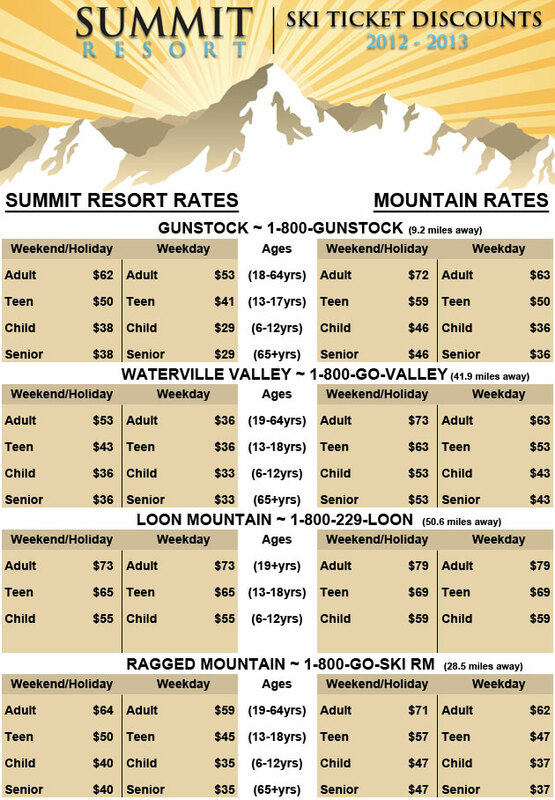 This ski season guest can take advantage of reduced price tickets to Gunstock, Waterville Valley and Loon Mountain. Enjoy a fun-filled day of skiing or boarding and spend the evening unwinding in our large heated pool and roman spa. 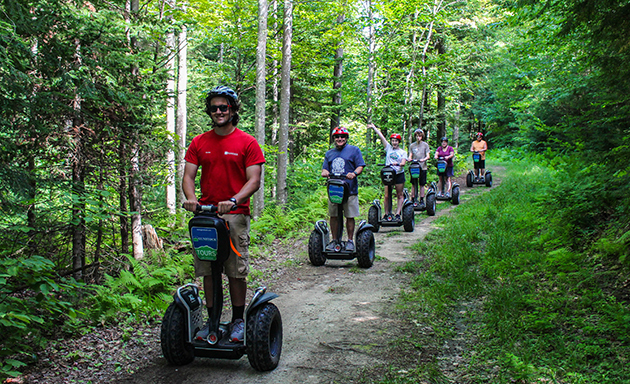 Only a short drive from Gunstock Mountain, the Summit Resort is the ideal destination for Gunstock Lodging. Pack up your family or invite your friends, between the exclusive discounts and our spacious 2 bedroom suites your perfect ski getaway is just a click or call away. Published on January 13, 2015 in Winnipesaukee Resort. Closed Tags: Gunstock Lodging, NH Ski Tickets, Winnipesaukee Resort. Experience another season of great savings on tickets to the best local mountains. 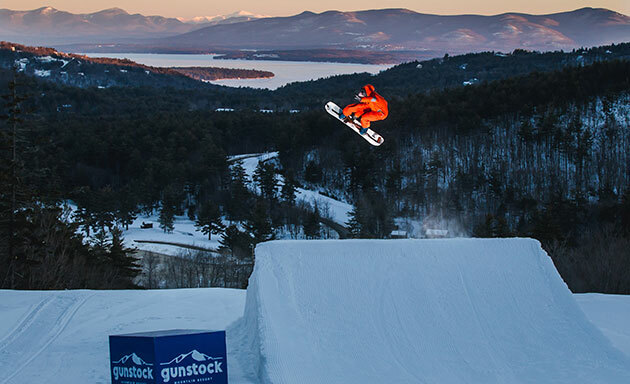 This year the front desk is offering guests discounted tickets to Gunstock, Waterville Valley and Loon Mountain. Explore the slopes by day and kick back in our heated, indoor pools at night. Just a few minutes’ drive from Gunstock Mountain, the Summit offers the premier accommodations for Gunstock Lodging. Join your friends or pack up your family, between our ticket deals and our spacious 2 bedroom suites an alpine adventure is just a click or call away. Published on February 7, 2014 in Winnipesaukee Resort. Closed Tags: Gunstock Lodging, NH Ski Tickets, Winnipesaukee Resort. Save money on your next ski getaway at the Summit Resort. 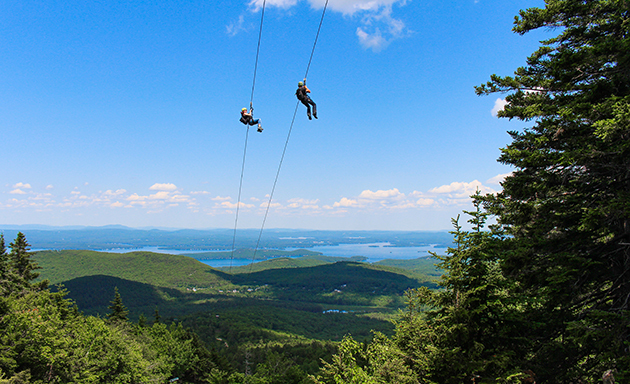 We offer guests great discounts on tickets to Gunstock, Waterville, Loon and Ragged Mountain. 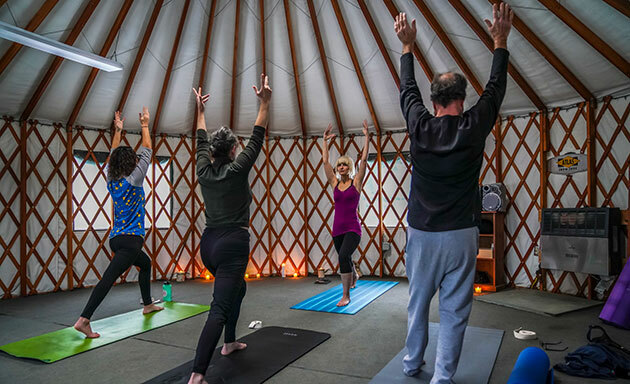 Explore the local ski areas and relax in style. 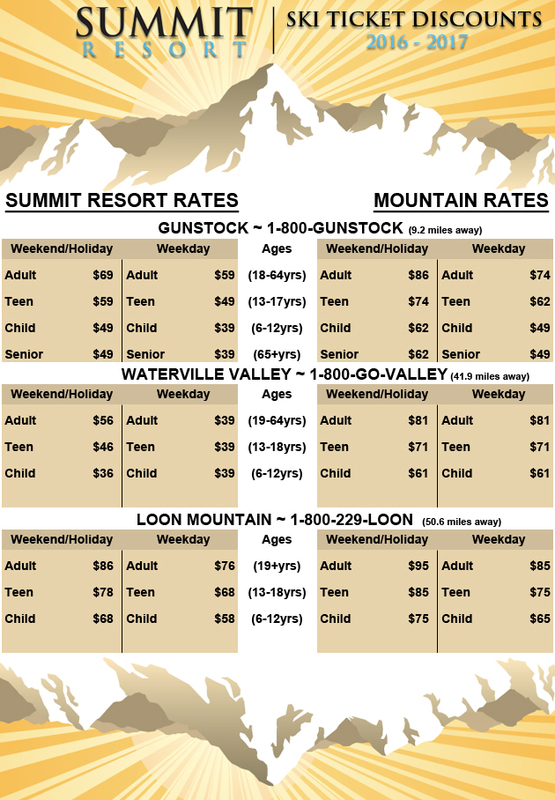 The premiere accommodations for Gunstock Lodging, the Summit is also a relatively short drive to Waterville, Loon and Ragged. Bring your family or take some friends. With our discounted tickets you can spend a day of fun on the slopes and kick back in the heated pools at night. Our spacious, well-appointed 2 bedroom suites are perfectly suited for your next alpine adventure. Published on December 7, 2012 in Winnipesaukee Resort. 0 Comments Tags: Gunstock Lodging, NH Ski Tickets, Winnipesaukee Resort. Looking to save some cash on your next ski outing? The Summit Resorts offers guest significant deals on ski tickets to all the local mountains. The perfect choice for Gunstock Lodging, we are also a relatively short drive to Waterville, Loon and Ragged Mountain. Skip the lines at both Loon Mountain and Waterville Valley with authentic tickets sold right at our desk. For Gunstock and Ragged a quick exchange of the vouchers we sell at the Summit will get you a fresh ticket at the ticket office. Save time for more skiing and money for more après ski activities. Shred the slopes by day and kick back in our large heated indoor pool or roman spa by night. With the Summit’s spacious suites and great amenities you and your family are sure to have a fun winter adventure in the Lakes Region.